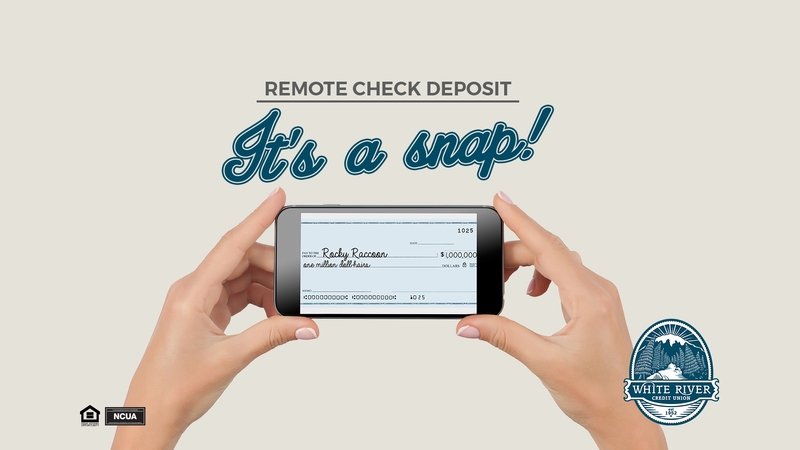 Mobile check deposit is now live - it's a snap! Depositing checks at White River CU is a snap! Literally. You just need to snap a photo of your check and, voila! We are here for you if you need any assistance getting started.